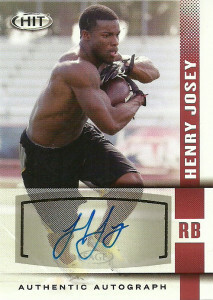 Henry Josey is chasing the dream and you have to admire a man like that. After running for 263 yards in one game as a Sophmore for Missou, catching 175 passes, and running for over a thousand yards twice in his career, you’d think a guy’s name with 4.4 speed would be etched on a map somewhere for a professional team, but things didn’t work out that way for Josey. Going undrafted he signed with the Philadelphia Eagles in 2014. While he had a great preseason rushing for the Eagles, averaging 6.6 yards per carry on 225 yards, he was part of the final painful round of cuts. From there, the Barry Sanders sized running back has been on rosters of the Colts, Jaguars, and the Vikings -just in 2014. After being cut by the Vikings in 2015, Henry signed with the Toronto Argonauts of the CFL. He rushed for 30 yards, and had 4 receptions in his debut season for the Argos.